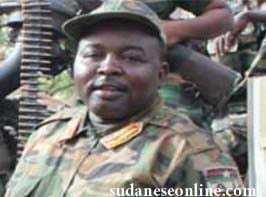 In response to sheer humanitarian necessity and the plight of civilians in regions of Darfur severely affected by the flash flooding and landslides prompted by the severe downpour of the rainy season, the leadership of the Sudan Liberation Movement/Army declares a temporary unilateral ceasefire effective from September 20th to it’s termination date on December 18th 2018.The Sudan Liberation Army throughout this timeframe will abstain from combat operations to not impede sorely needed humanitarian aid efforts so that the civilian areas most impacted by natural disaster and a critical absence of medical and life sustaining support and supplies may reach them without hindrance. 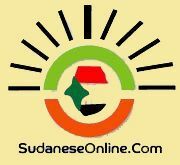 The SLA exists solely to protect the people of Darfur and in this instance clearly recognizes suspending all military activity is necessary for the well being of the civilian population at large. We urge government armed forces, security forces, intelligence service operators and their partner Rapid Support Forces militia to abide and uphold the ceasefire from their side of the divide, as a good faith measure and to equally refrain from hostile military action that can only hamper rescue, humanitarian intervention and reconstruction efforts. We also call on the Russian mercenary forces present in Darfur to aid regime forces, to also refrain from hostile action. The SLA seeks no tactical advantage from its ceasefire and acts only in the name of compassion and mercy for the civilian population and urges that government forces lift their longstanding blockade of humanitarian supplies to Darfur, and also lift their embargo on local and international aid organizations and allow their members free access and unhindered passage to the areas most impacted by natural disaster and allow them the freedom to work without intimidation or fear. The SLA command structure reaffirms all fighting units of the Liberation Army will remain confined to their base areas and will observe the interim cessation of hostilities for the duration of the ceasefire , with the sole exception that if attacked or clearly subject to imminent attack by regime or its allied Russian mercenaries, the SLA will not hesitate to respond proactively and use lethal force to defend its endangered formations. However, the SLA hopes the government and its allies will transcend the differences that make us mortal enemies , for the sake of the well being of the innocent people, without any cynical self interest but instead respond to a higher, humanistic imperative. In conclusion the SLA extends its full cooperation with UNAMID and any other international actors and both local and foreign humanitarian organizations, should they need the peaceful assistance of the SLA in any context where the SLA is able to render any aid within its means, without agenda other than to help those most in need, in the name of humanity. We make this declaration in consultation with civil and military leadership of SLM/A in accordance with the constitution and bylaws of the movement.